For more information, please contact Peter at peter@mainely.org or call 207-951-5872. We are involved in bidding on 2 properties in our operating areas. If we are successful we intend to start rehabilitation at the beginning of February. We are continuing site improvements at all our rental properties to create additional value. Once again we were able through GBAOMA to furnish our tenants with a very favorably energy contract by RH Foster through fiscal year 2018. Our Searsport property was sold to our tenants after a 2 year rental. The new owners are thrilled to own the house they started to love and appreciate during the rental period. We wrapped up our latest project on Dean Street in Winterport. This property was purchased in December 2016 and completed at the end February 2017, our quickest time-line completion yet. A big thank you to our outstanding crew of craftsmen.This historic home in Winterport welcomed its first tenants in April. 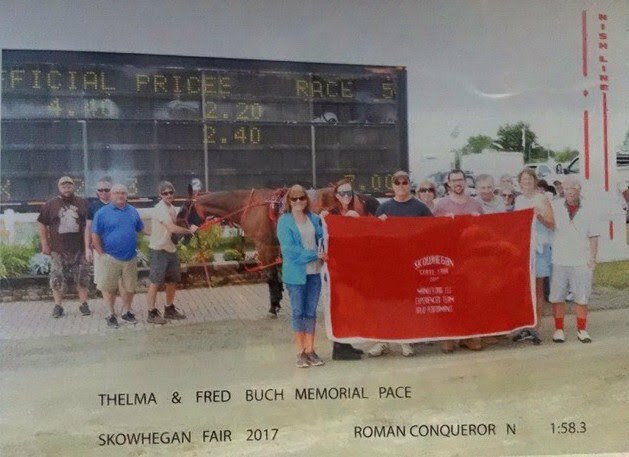 Once again we sponsored a race at the Skowhegan State Fair. This year the race was dedicated to Thelma & Frederick Buch old friends of the principals of the company. Thelma & Fred passed away after a good life at the age of 94 & 97 respectively. We will miss their friendship and counsel.